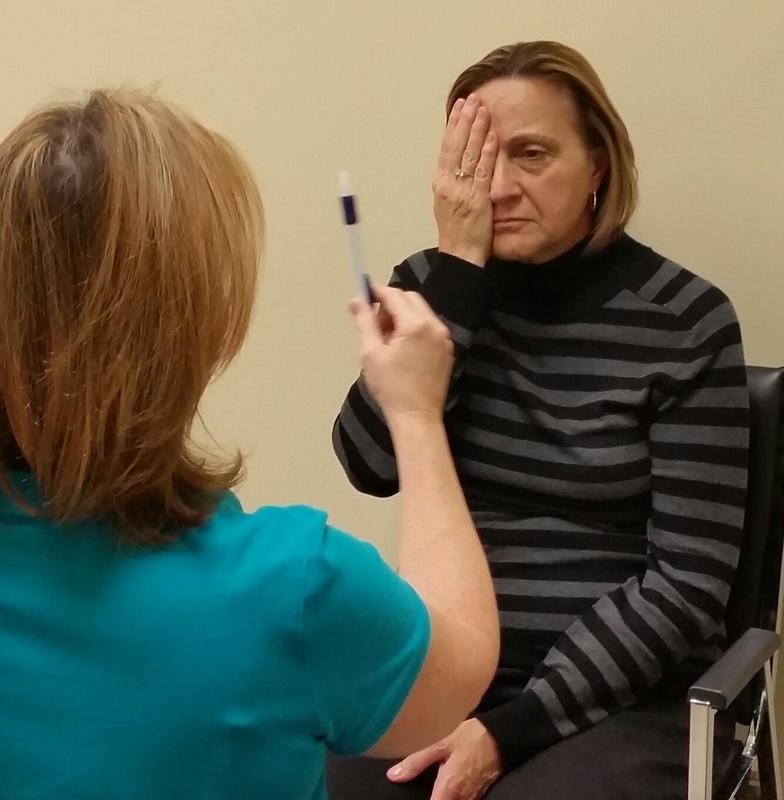 Vestibular specialist Susan Cohen leads her patient through a visual tracking exercise. October is National Physical Therapy Month, and each week this month we will be highlighting our physical therapists and the unique and innovative treatments they are using. Susan, a physical therapist for 17 years, has been working with vestibular patients since 2002. “Over the 14 years of working with patients with vestibular disorders, I have had the opportunity to work with patients with a variety of diagnoses including BPPV, Meniere’s Disease, acoustic neuroma, concussion, vestibular neuritis and labyrinthitis. It has been fascinating to see the recovery and how happy patients are to get back to life activities. I’m always learning, especially from the patients – they have taught me so much – this is one aspect which makes me love what I do”. The number one goal of vestibular therapy is helping patients get back to their daily activities, enjoying life without feeling they have to limit their movements for fear of bringing on their symptoms which maybe nausea, spinning or fear of falling. For more information about vestibular therapy at Bacharach call 609-652-7000.